Kayla and Brain were those people that you just know you will love forever, after only spending a short time around them. 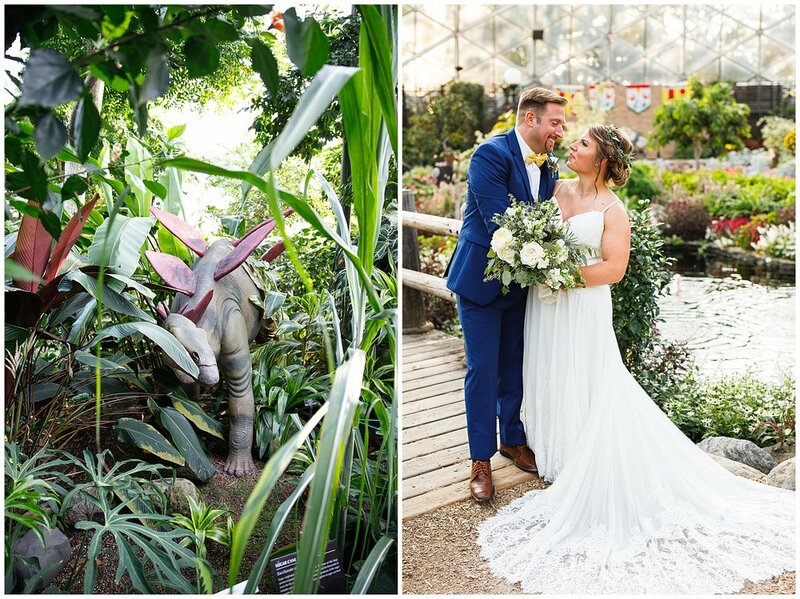 Since we met at their engagement session, I knew their wedding at the Mitchell Domes in Milwaukee would be just magical. We for real cackled through the entire session, as we explored the city together. They would do any nutty thing I asked them to try, with some of their own interpretation thrown in. As their wedding day approached we were all just so excited to celebrate such a love and deep friendship. 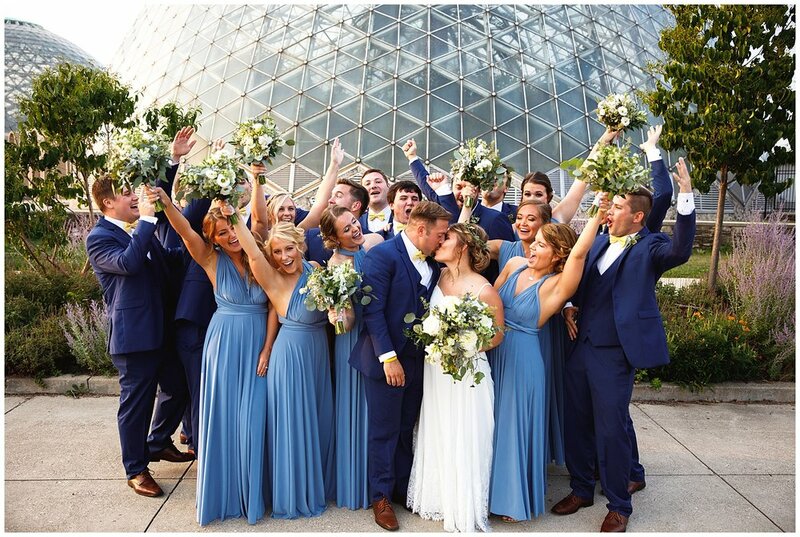 Kayla + Brian started their day with a view from Potawatomi hotel with their fav people. Once we got to the domes, the excitement was buzzing, as we kept cool (yes dry heat!) in the desert domes. Their emotional ceremony was truly spectacular. They looked like they had been plopped into a life size spring snow globe, overflowing with flowers, trees and a little foot bridge to boot. 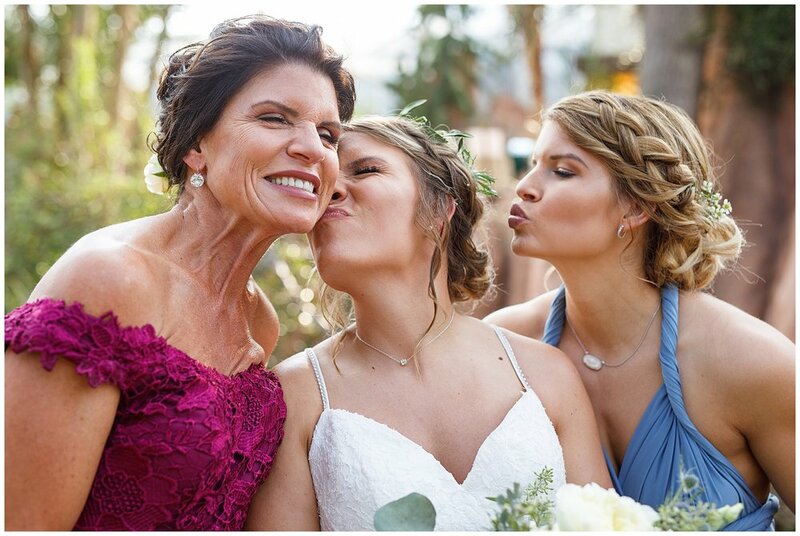 I am so honored to have been a part of this celebration of two amazing people coming together to unite their love and friendship with their closest people. 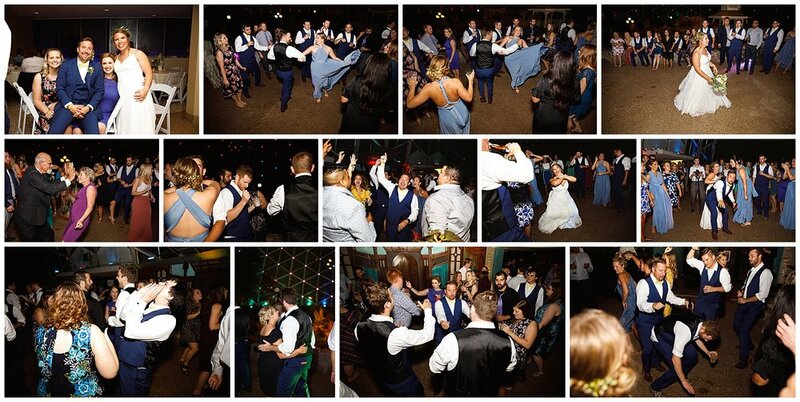 I will never forget the dance moves I witnessed at this wedding. Love you two! Hope this wedding warms you up! Go check out the Domes if you need to feel like it is summer - it is amazinggggggg.